Kuldeep Yadav is now preferred over Ravichandran Ashwin and Ravindra Jadeja by India coach Ravi Shastri. Kuldeep Yadav has impressed everyone with his fine bowling performances and Team India coach Ravi Shastri is certainly one of the admirers. 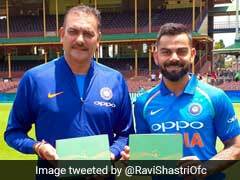 Kuldeep Yadav's five-wicket haul in the Sydney Test has compelled Ravi Shastri to think highly of the left-arm bowler. In an interview with Cricbuzz, Shastri said Kuldeep is way ahead of veteran Ravichandran Ashwin and will be India's frontline spinner on foreign soil. "Already! He plays overseas Test cricket and he gets five wickets, so he becomes our primary overseas spinner. 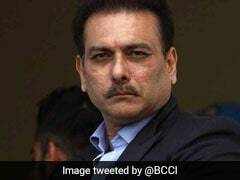 Going ahead, if we have to play one spinner, he is the one we will pick." Australian batsmen have, so far, failed to read him since his debut nearly two years ago. "I was very impressed with the way Kuldeep bowled in Sydney. Even in Test cricket, it is going to be the age of wrist spin, especially in overseas Test cricket. 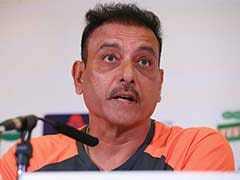 The way he bowled in Sydney, he becomes our number one spinner in overseas Test cricket," Shastri said. 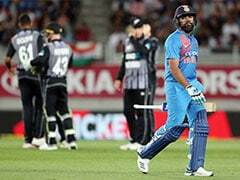 Going ahead, India and New Zealand will square off in a three-match T20I series, which starts February 6 in Wellington. India are high on confidence after having beaten the hosts in the five-match ODI series 4-1. Rohit Sharma will be India's stand-in captain as Virat Kohli has been rested by the Board of Control for Cricket in India for the last two ODIs and the entire T20I series.